Queen Ekuerhare, the founder of Flashy Wings Ministry , is the guest in this episode of DOZ Show. In 2009, she received a vision that birth the Flashy Wings Ministry a non-denominational Christian charity, actively working in the community to help tackle women’s issues. She is very passionate about the welfare of women and seeing women fulfil their potential in life through God’s Word. She believes that there is a queen in every woman and that women can discover their true worth if motivated in the right direction regardless of their background or story. She is happily married and has two lovely children. She inspires us with her journey of going from a life categorised by diapers and milk to a life of significance helping other women find their worth. Listen and be inspired. Molly Schultz, the founder of Tried and True Mama Blog, is the amazing guest in this episode of DOZ Show. About two years ago, Molly was losing her dad to cancer. While her father battled with stage four cancer, he suddenly lost his wife. He became the only surviving parent of young Easton who was two at the time. Molly went home to see her dad and it became clear that Easton’s future needed to be decided and fast. It was agreed that Molly would adopt her younger half-brother. Her father signed off his parental rights to her and in a matter of hours he was dead. Easton went to live with Molly who already had four daughters and in a little over one year, he officially became the son of his older sister. Molly shares with us the inspiring journey towards the official adoption of her younger brother. Listen and be inspired to make the most of life’s challenges. 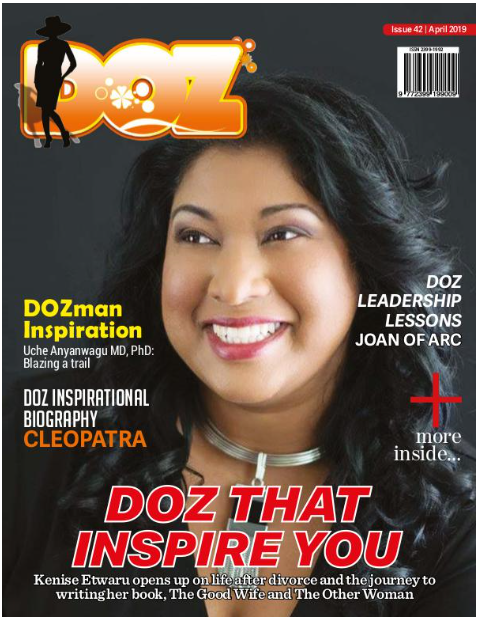 Shontelle Dubois is an amazing woman and the guest in this episode of DOZ Show. Shontelle did not have a happy childhood. But she constantly suppressed her feelings of sadness even as she lied about the bruises that were frequently on her body. As a young adult, her life began to change for the better; she had graduated and had a beautiful daughter. But suddenly and without any warning, she was involved in a 7-car accident. The recovery process and learning to walk again threw her into depression. She became a binge eater and gained a lot of weight very quickly. At that point, she decided to make changes to her life and lost 95 pounds in five months. She loved her transformation so much that she decided to become a personal trainer and help other women. And then disaster struck; she lost her job and was given an eviction notice. Shontelle began to use the stairwell in her apartment building to train her clients. People mocked her, and called her the stairwell trainer but she kept going, rising early every morning to sweep and mop the stairwell before her clients arrived. Shontelle currently owns a fully equipped gym, all her sessions are sold out, and there are prospective customers on the waiting list! She is a fighter who has kept going against the odds and she shares with us her inspiring journey. Listen and be inspired to never give up!